Leni Robredo spokesperson Barry Gutierrez, who called a critic's claim "ridiculous", just made an even more ridiculous claim... and the Inquirer fell for it hook, line, and sinker. Maastricht University International Relations teacher Sass Sasot [Maastricht] yesterday called everyone's attention to a supposed Fake News article published in the Philippine Daily Inquirer [Sasot]. 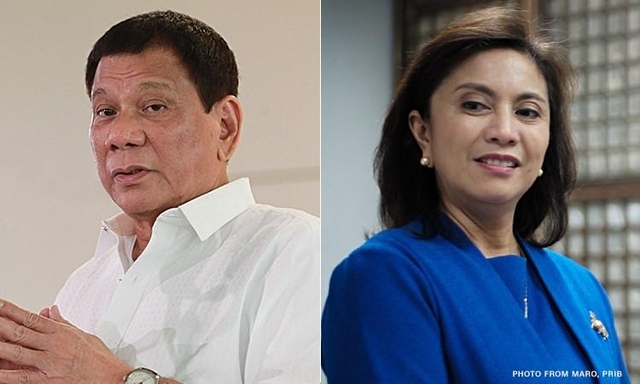 The article, entitled "Leni’s camp scorns claim Jesse’s brod into drugs" and written by a certain Melvin Gascon, attempted to debunk former Naga City councilor Luis Ortega's claim supporting President Rodrigo Duterte's pronouncement that Naga is a "hotbed for shabu". An archived copy of the article, saved on 23 August 2018 can be found by clicking here. Sasot specifically quoted the part of the article where Vice-President Leni Robredo's spokeperson Ibarra "Barry" Guttierez attempted to discredit Ortega by citing the latter's supposedly multiple losses to the late mayor, essentially suggesting that Ortega harbors some bitterness against the late mayor. "This was not the first time that Ortega came out with such 'ridiculous' claims, Gutierrez said of the former councilor who lost to six-term Naga City Mayor Jesse Robredo in the 2010, 2013 and 2016 elections." The problem with Gutierrez's claim -- a claim that Inquirer reporter Gascon wittingly or unwittingly failed to verify -- is that Jesse Robredo died in 2012 so he could not have possibly run in 2013 and 2016. Isn't it ironic that Leni spokesperson Gutierrez, who called Ortega's claims "ridiculous", just made an even more ridiculous claim? "This was not the first time that Ortega came out with such 'ridiculous' claims, Gutierrez said of the former councilor who lost to six-term Naga City Mayor Jesse Robredo in the 2010 elections." The Inquirer basically deleted 2013 and 2016, leaving 2010 behind, presumably because the Jesse Robredo was still alive then. An archived copy of the revised article, saved on 24 August 2018, can be found by clicking here. Ano ba yan? Itinama na pero mali pa rin. FIRST, Robredo spokesperson and Akbayan lawyer Barry Gutierrez doesn't know what he's talking about. I agree with Sasot’s observation that Gutierrez’s blunder bolstered whistleblower ex-councilor Luis Ortega's credibility. Surely, if Leni felt seriously insulted by Duterte after the latter called Naga a shabu "hotbed" [RMN], then she should be even more enraged by his spokesperson's ignorance about an issue that hits so close to home. Oh, wait! IT HITS HER HOME, actually. SECOND, Gascon and the Inquirer may need to take a refresher course on journalism because they failed miserably in this article. These are the people who love being called "legit journalists", but their work suggests otherwise. That is, while it’s true that Gutierrez claimed that Ortega lost to Robredo in 2010, 2013, 2016, it’s also true that Gutierrez’s claims are false... and that’s what the Inquirer miserably failed to point out. Now, where is the verification in the Inquirer article? Can a journalist be called a journalist if the essence of his job, i.e. verifying claims before publishing, is missing? "The media shouldn’t just report everything every idiot, crook and liar says without subjecting it to critical assessment. There’s a name for that. It’s called 'he said, she said reporting'. It’s stenography, not journalism." Well, I guess this Inquirer reporter Gascon is not a journalist, but a stenographer.